The 11th Baroque musical festival is now underway. 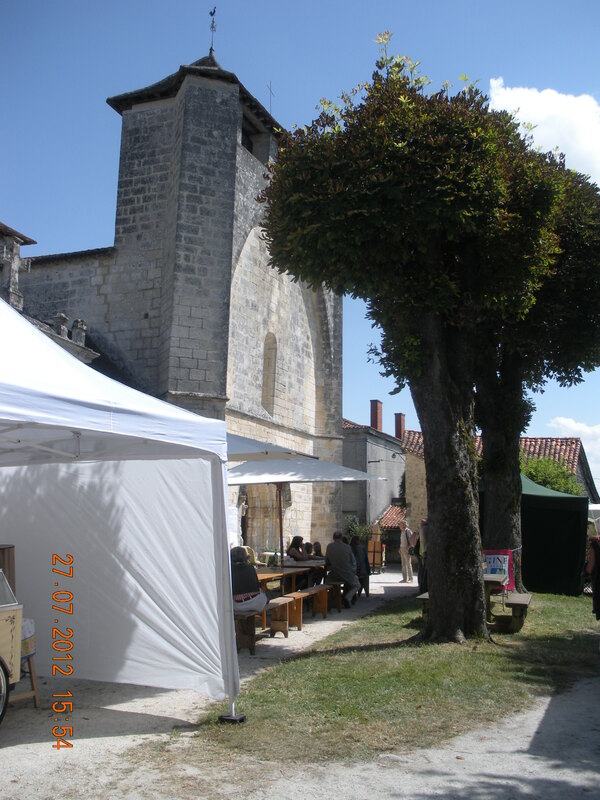 Yesterday Chocs and I went to Cercles, which was where the festival was located for the day – there were all sorts of interesting stalls scattered around the ancient Eglise Abbatiale, musicians practicing for the next “sitting”, spectators wandering from one artistic stall to another. A few sipping wine in the shade while waiting for the next performance. Others were participating in lectures or going on a guided walk around the local countryside. There were musicians mixing freely among the guests participating in food and refreshments at the Café Baroque, housed under a canopy. Friday offered three different concerts at this same venue. This annual festival is a definite must for baroque music lovers – it takes place at the end of July every year – the luxury accommodation available at Moulin de Larcy blends well with this wonderfully organised event. Well-being message : Take some time for yourself, relax and listen to a beautiful sonate, piano or violin concerto – let the music tingle within, filling you with a sensation of wonder mixed with joy as you listen intently to each note. This entry was posted in Executive Stress Management, Food & Wine, Healing, Holiday, No children, Organic, Peace & tranquility, Spiritual retreat, Well-Being and tagged Baroque music, Luxury Life Style Breaks. Bookmark the permalink. Wish I could be there; looks glorious!